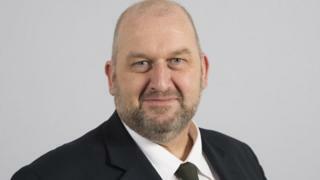 Calls for Wales' first minister to resign following the death of Carl Sargeant four days after he was sacked from government are "premature", Plaid Cymru leader Leanne Wood has said. Mr Sargeant was being investigated over claims about his behaviour. He is understood to have taken his own life. Ms Wood said people who sought to make "political capital" out of the events needed to "back off". Mr Sargeant was found dead on Tuesday, four days after Mr Jones removed him from his post as communities secretary in the Welsh Government cabinet. The AM for Alyn and Deeside was facing a Welsh Labour investigation into claims of "unwanted attention, inappropriate touching or groping". Ms Wood said calls for Mr Jones to resign were "somewhat premature", adding: "There are questions to be answered and he deserves to be given a fair hearing in answering those. "I would say that there are some people who have sought to gain political capital out of these events and to those people I just say, 'back off, now is not the time'." But she said: "I think it's important that we don't forget the complainants at the beginning of this and it's vitally important that people are able and feel empowered to be able to come forward and report cases of harassment where they do arise." Ms Wood has also addressed that fact that Plaid Cymru may not have treated cases of harassment in the past "with the seriousness with which they deserve". In a post for Nation.Cymru, she issued an apology to "anyone who has complained" to the party and "didn't have appropriate or sufficient action taken". "I, too, in my younger days have experienced it. Sometimes I challenged it, on other times, I said nothing," she wrote. "My message to anyone who comes forward to Plaid Cymru with concerns or disclosures about harassment is - we will take you seriously, we will support you and we will take appropriate steps to ensure that complaints are investigated thoroughly and fairly." Meanwhile, Mr Sargeant's family have criticised a decision to use a Welsh official to set up the inquiry on how allegations against him were handled. The Welsh Government would not comment but stressed that "the impartiality of the civil service is a given". Image caption First Minister Carwyn Jones said he would try to "provide answers" for Mr Sargeant's family. They said: "In response to the statement made by the first minister and to reiterate the family's original request, the inquiry must be established by a body that is fully independent of Welsh Government. "The permanent secretary reports directly to the first minister and is therefore not independent. "We believe that a truly independent body must also be responsible for agreeing the terms of reference and appointing the chair and secretariat for the inquiry." Peter Watkin-Jones, a specialist in public inquiries, told BBC Radio Wales: "The effectiveness of an inquiry will very much depend on what it is a QC is asked to do and that completely depends on the terms of reference. "Clearly [the family's] wishes to see things properly investigated will be taken on board but the independence comes from the QC himself or herself. "There's been a lot of discussion of the independence of the people establishing the inquiry. It's bound to be someone from government because government will end up paying for it."